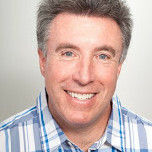 Alcosta Shower Door, Inc. has been family owned and operated for three generations. We set the standard with our union trained installers, including four MASTER GLAZIERS with over 25 years experience each. We have worked with the Bay Area's leading architects, contractors, glass dealers and homeowners for over 35 years. Alcosta has an excellent rating with the contractors license board, An A-Plus with the Better Business Bureau, and a member of the San Ramon Chamber of Commerce. Our company has built it's reputation by word of mouth. We predicate our business on service and workmanship. We offer a full year warranty, free in home estimates, reasonable rates on after warranty service calls and a great value for your money. Glass is one of the most useful materials to use in a home, but it takes a skilled glass company in Vallejo, CA to correctly handle it. You use it all around the house, whether you realize it or not — windows, doors, showers, mirrors and more. While glass can be a very sturdy material, it’s also prone to break if not properly maintained. Make sure you hire professional Vallejo glass companies to install or repair your products safely so you can live comfortably. 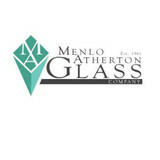 What can a local Vallejo glass company help me with? If it’s a major home glass repair or replacement, the Vallejo glass company should work directly with your insurance company to help bring down costs for you, if applicable. 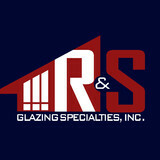 Find Vallejo glass companies on Houzz. Narrow your search in the Professionals section of the website to local glass, mirror and shower door services in Vallejo, CA and read reviews and ratings to find one that fits your needs.